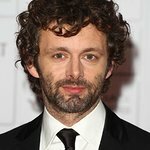 A crowd of nearly 70,000 turned out to Soccer Aid at Manchester United’s Old Trafford this week to witness Michael Sheen's Rest Of The World team defeat England in a pulsating encounter between the two sides, by four goals to two. A second half hat trick from Rest of The World’s ’s former dutch international Clarence Seedorf, and a great chip from 25 yards from Nicky Byrne cancelled out a long range effort from Jamie Redknapp and a penalty from Kevin Phillips to win the much coveted Soccer Aid trophy. By the time the final whistle blew ITV viewers had pledged over £2million to UNICEF's vital work saving children’s lives, which will be matched by the UK Government pound for pound, bringing the total to £4.2 million so far. The final figure will be announced in due course. The winning team also included Gordon Ramsay, James McAvoy, Sam Worthington, and more. The England team included Stephen Moyer, Olly Murs and John Bishop. The public can continue to donate to UNICEF by texting the word CHILD to 70333 to give £5. Lines are open until the 30th June 2014.